This provocative book examines crucial philosophical questions László Moholy-Nagy explored in theory and practice throughout his career. Why paint in a photographic age? Why work by hand when technology holds so much promise? The stakes of painting, or not painting, were tied to much larger considerations of the ways art, life, and modernity were linked for Moholy and his avant-garde peers. Joyce Tsai’s close analysis reveals how Moholy’s experience in exile led to his attempt to recuperate painting, not merely as an artistic medium but as the space where the trace of human touch might survive the catastrophes of war. 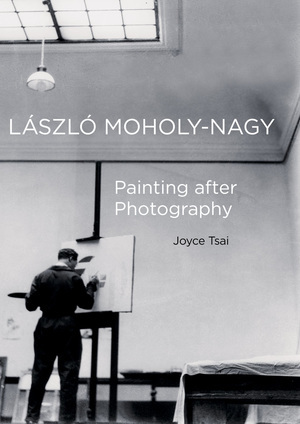 László Moholy-Nagy: Painting after Photography will significantly reshape our view of the artist’s oeuvre, providing a new understanding of cultural modernism and the avant-garde. Joyce Tsai is Curator of Art at the University of Iowa Museum of Art and Clinical Associate Professor of Art Education at the University of Iowa.